Islands of Adventure – Biscotti and a Ph.D.
After getting off Hogwarts Express at Hogsmeade in the Islands of Adventure park, we were like two little kids – I just can’t get over how amazing The Wizarding World of Harry Potter is! After exploring some of the stores we hit all the rides in this section – Flight of the Hippogriff, Dragon Challenge, and Harry Potter and the Forbidden Journey. Flight is a family-friendly coaster, so it ended up being a bit anti-climactic. The Forbidden Journey is AWESOME though. Boyfriend and I agreed that it was probably our favorite ride of the day. We had a lengthy wait, but like Gringotts, there’s so much to see and explore that having a wait is kind of a good thing. 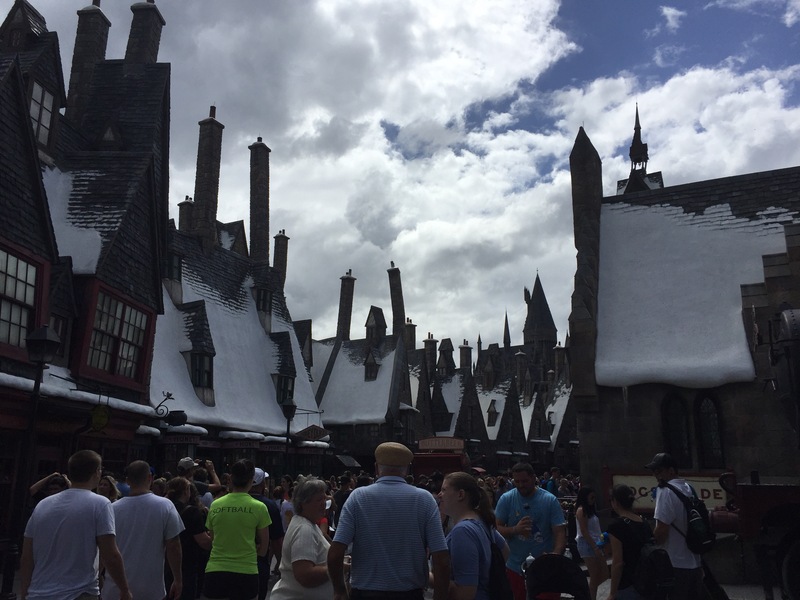 We even got snowed on in Hogwarts! Boyfriend didn’t realize Dragon Challenge has two different coasters, so we ended up just riding the red coaster…on this trip 😉. 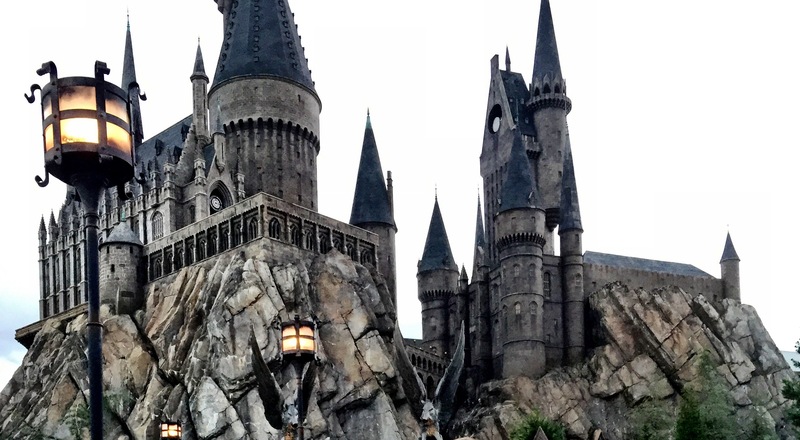 The Forbidden Journey is in Hogwarts! How impressive is this building?!? After a frozen butterbeer break, we crossed over the bridge into the Jurassic Park area. We played around in the Jurassic Park Discovery Center and then jumped on board the Jurassic Park River Adventure. I didn’t get as wet as I expected, but I was still jealous of the little girl beside me in a poncho. I also apparently stopped taking pictures at this point. We passed by Kong because of the long line and ended up at Dudley Do-Right’s Ripsaw Falls, which I wasn’t excited about (I hate walking around with wet pants!). We had a lengthy wait PLUS the ride broke down for a while (seriously, what the heck? ), and yes, I ended up walking around in soggy shorts. Gross. I perked up after a 3-D ride on The Amazing Adventures of Spider-Man, a low-key and calm ride as the oldest people on The Cat and the Hat ride, and then an adrenaline rush on The Incredible Hulk Coaster, which may have been second on my favorite ride list. The whole park probably heard me scream from that initial blast-off! Before returning to Kong we grabbed dinner at the Three Broomsticks. 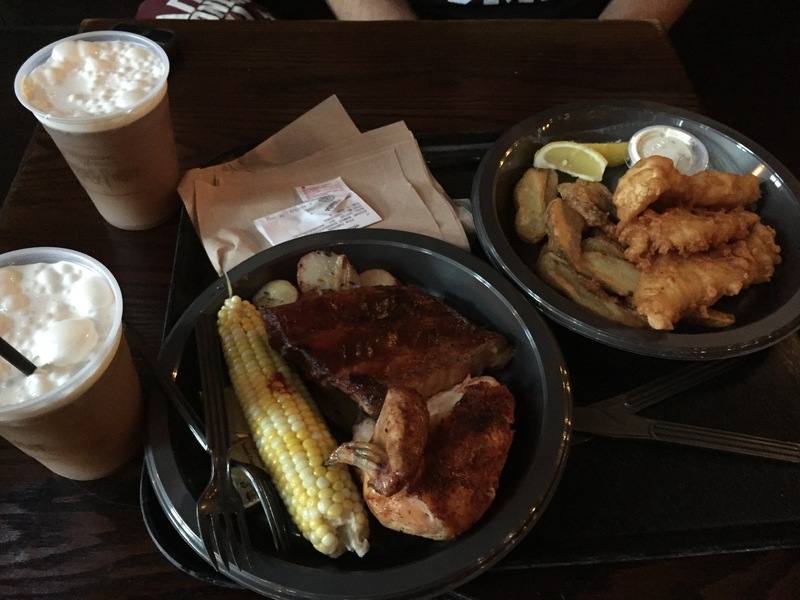 I had my second frozen butterbeer and the chicken and ribs combo. The chicken was ok, but the ribs were pretty good! Boyfriend had the fish and chips. 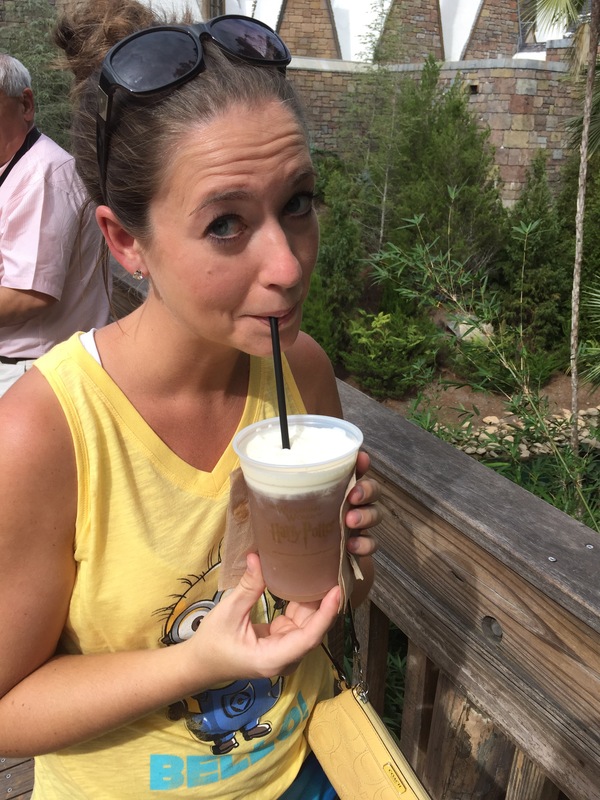 Frozen butterbeer is a must! We finally made it to Skull Island: Reign of Kong. This was definitely our longest wait since the ride is new, which was fine until we entered the main waiting area. In this room there’s a tribal woman(?) who talks to/chants/threatens(?) everyone, and after hearing that at least five times, I was over it. But the ride was enjoyable, especially because it was dark and made the initial safari ride outside with the torches eery. What did we learn? 1) It might be better to stay at one of the Universal affiliated hotels that offer a free unlimited express pass with your stay. We were really hating on those people who were skipping to the head of the line. 2) Butterbeer should be a food group. 3) Even with my scheduled plans it wasn’t possible to do everything at both parks, but next time we have a better idea of rides we’re ok skipping. Where’d we go on day 3? Check back to find out!